As Gilly Pickup discovers, there’s a Celestyal future ahead for the ship that was Louis Cruises’ flagship. Approaching Santorini from what Homer described as the ‘wine dark sea’ is never less than spectacular. The bay that surrounds the island is the world’s largest volcanic crater, created 3,500 years ago by a massive eruption of the still-active volcano. 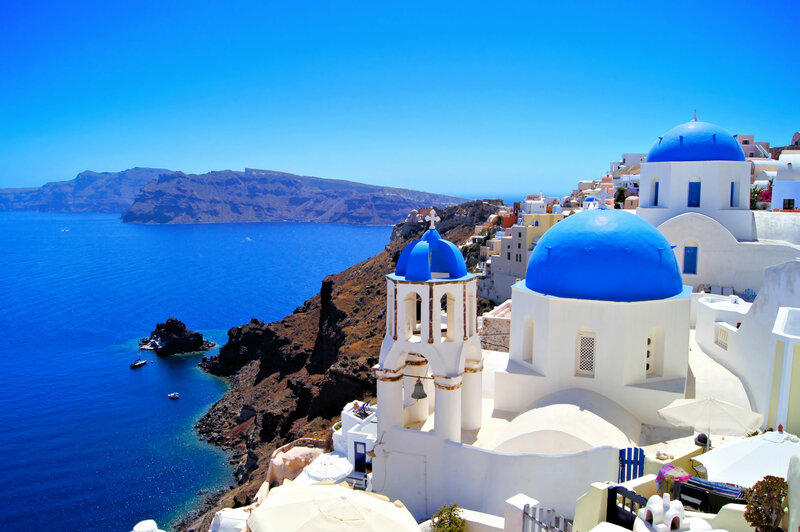 Was Santorini the inspiration for the legendary lost city of Atlantis? No-one will ever know for sure but the story certainly adds an extra measure of mystique to this island of sheer red-brown cliffs, sparkling whitewashed villages and black sand beaches. However, anchored in the caldera waiting for tenders to take us ashore, it is probably fair to say that most passengers waiting to disembark Louis Crystal were not mulling over these catastrophic events but simply looking forward to soaking up the views, relaxing on a beach or doing some shopping. Originally a Viking Line passenger ferry, the 1,200-passenger Crystal sails from Piraeus or Lavrion, about 60 km from Athens, to destinations in Turkey and the Greek islands typically on three, four and seven night cruises. Late departures most evenings mean passengers can stay ashore and enjoy the nightlife. Louis Cruises, which started operating short cruises out of Limassol, Cyprus to the Eastern Med in the early 70s, is set to add new seven-night itineraries from Bari in Italy for summer next year. They are also embracing themed holidays with 64 lined up for 2015; while enjoying an island-hopping itinerary, passengers can also have a go at whatever takes their fancy from archaeology, wine and music, to beauty, culture and cookery. Next year, Louis launches a new brand, Celestyal Cruises, encompassing Crystal and two other ships. During the winter months, Crystal is chartered to CubaCruise for seven-night voyages from Havana, and Montego Bay, Jamaica. I opted for a food-themed cruise in the Greek islands and had joined the three-star rated ship at Athens. The cruise attracted a mix of passengers including Greek families, a smattering of Turks, Germans and French, a large and loud crowd from America and some Brits. Sales director Pythagoras Nagos said that as far as the UK market is concerned, Louis (pronounced with the ‘s’) has been ‘under the radar’ for some time but he plans to change this over the next year or two by implementing an intense sales and marketing plan. 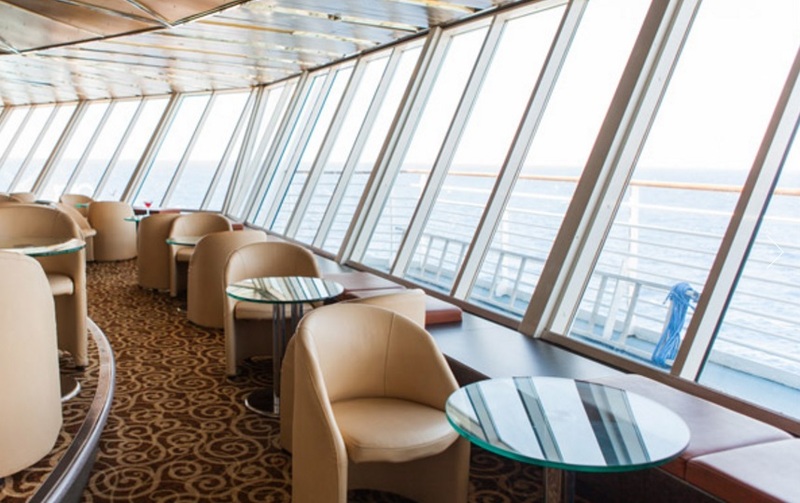 The mid-size ship, which had an extensive facelift in 1995, has the usual amenities for passengers; gym, spa, sauna, casino, swimming pool, Jacuzzi, small library and a children’s playroom. There is a walk round teak promenade deck, though the pool deck can get cramped when the ship is busy. The evening entertainment in the Muses Lounge was hugely impressive; the spectacular troupe of Cuban singers and dancers are right up there with the best I’ve seen. For those who prefer to dance the night away, the Horizons Disco Bar on the top deck is the place to be. Twelve different types of cabins make up the total of 486, though of that number there are only 10 balcony cabins. My roomy outside cabin was decorated in shades of cream and blue and came with flatscreen TV, fridge, plenty of storage space, good lighting and a small bathroomstocked with a generous selection of toiletries. If you want to use the cabin’s safety deposit box, there is a minimum charge of €8 for three days up to €16 for seven days. Our first port of call was Syros, one of the Cyclades, everyone’s Greek dream of dazzling white houses, cobbled alleyways, preposterously pretty scenery and hilltop windmills. Our tour bus whisked us to the town of Ermoupoli, once the busiest port and ship building centre in Greece before Piraeus took over. The main square, the town’s heart, is paved in slippery smooth white marble with an array of Neoclassical mansions spilling out from the grand square and hemmed by cafes and tavernas. The whole area around the square has been designated a National Historical Landmark. Outside the 19th-century church of Agios Nikolaos we saw the world’s first ever monument to an unknown soldier, then had a look inside the Apollon Theatre, a miniature of Milan’s La Scala Opera House, before driving to a seafront restaurant in Kini on the island’s west coast. Still a working fishing village alongside its development as a resort, Kini sits on a pretty horseshoe bay. There we ate dinner al fresco; creamy pumpkin soup with anise; beetroot layered with creamy Greek yogurt and sea urchin spaghetti with Ouzo, garlic and ginger, washed down with aromatic Greek wines. Huge bowls of goldfish adorned the tables – thankfully they weren’t on the menu – and a bouzouki player and singer entertained us with a medley of soulful and sprightly music from the islands. All the while waves gently lapped the shoreline and a dinner-plate sized moon cast a bright orange glow over the Aegean Sea. And so the days fell into a routine of food demonstrations, lessons, Q&A sessions and interactive presentations combined with shore excursions. I learned to make local dishes such as stuffed vine leaves, prawn saganaki in a rich tomato and ouzo sauce and an oh-sodecorative watermelon salad with feta cheese, wine and black plums. Those not interested in cookery could opt instead for Greek language lessons, take dancing classes, join in musical quizzes or enjoy crafts sessions. In the evening, we ate dinner in the ship’s Olympus restaurant, a spacious area with muted décor, the sparkling white linen-clad tables enhanced by cleverly crafted ice statues. Food was predominantly typical Greek fare served in three courses and as soon as we were seated, hot fragrant bread was brought to the table straight from the oven. Menus, which offer four choices of starter, mains and desserts, consist of delights including fried calamari with capers, dill and ouzo dip; grilled pork medallions sautéed with herbs; ratatouille served with yoghurt mint sauce and ‘sokolatina’, a gloriously decadent chocolate cake served with brandy-flavoured white chocolate sauce. Meals were accompanied by a selection of good international and Greek wines. The most expensive wine on the menu is Kormilitsa Gold Tsantalis from the slopes of Mount Athos, priced at €89. Most wines however are very reasonably priced at around €19 per bottle. Many guests opt to buy a 3-bottle wine package which comes with three mineral waters for €61, though the deal is regularly discounted by 25 per cent. Eventually, my time on board Crystal came to an end. 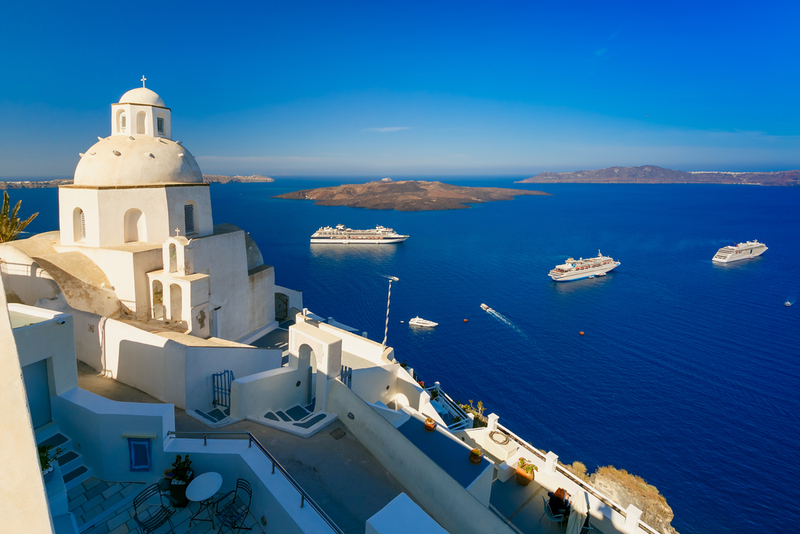 If the Greek islands are on your agenda, a Celestyal cruise is one of the easiest ways to do it. What’s more, you could learn to make first-rate baklava at the same time.